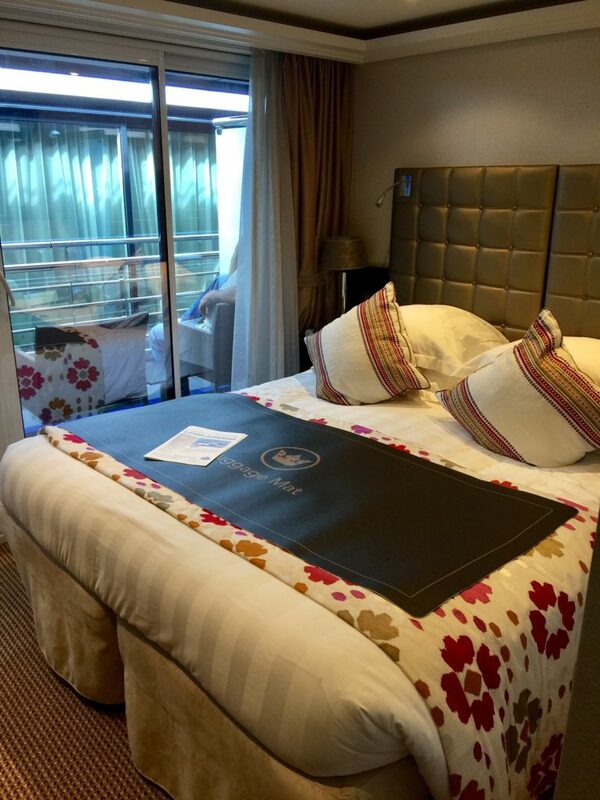 The Danube River through central Europe is crowded with river tour boats, but few are as sleek and luxurious as the AmaWaterways river cruise ships. 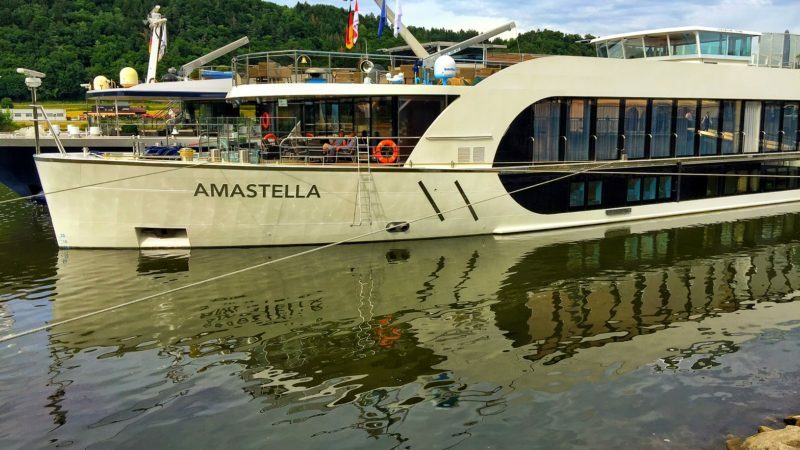 The AmaStella, which launched in 2016, offers comfortable accommodations, incredible food and impeccable service – just the sort of experience one would expect from a luxury European river cruise. 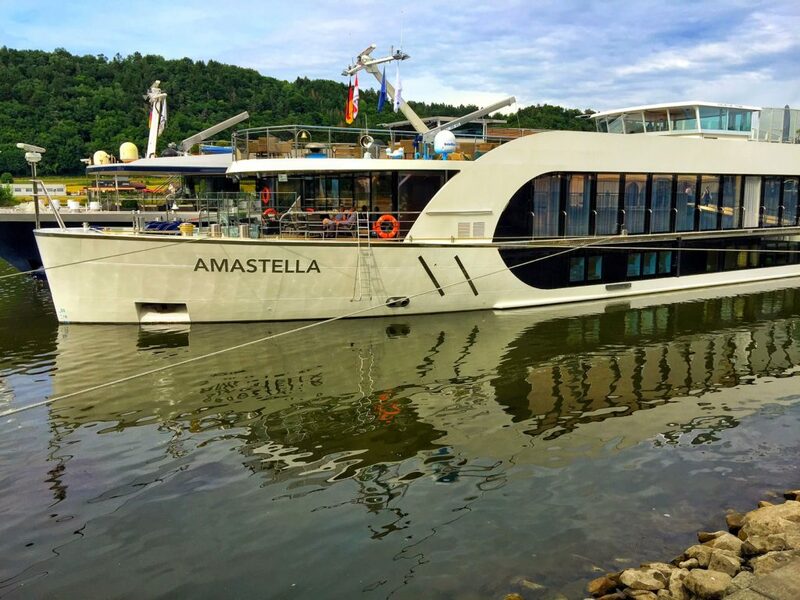 Hubby and I boarded the AmaStella in Vilshofen, Germany, for an 8-day cruise as part of a Backroads Travel active travel vacation. 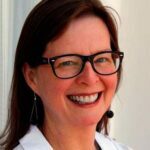 Because we were traveling with Backroads, our experience was a little different from that of the regular AmaWaterways guests. We did different excursions, took long, often demanding hikes, and sometimes ate in town rather than onboard. 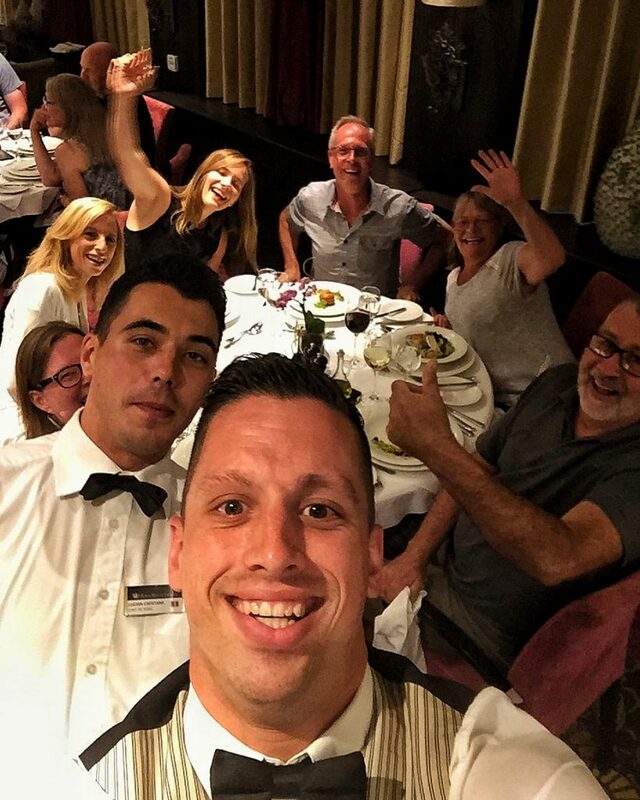 But the time we spent on the ship, the meals we shared and the service we enjoyed were unparalleled. They’re tiny. Really tiny. Like 210 square feet tiny. 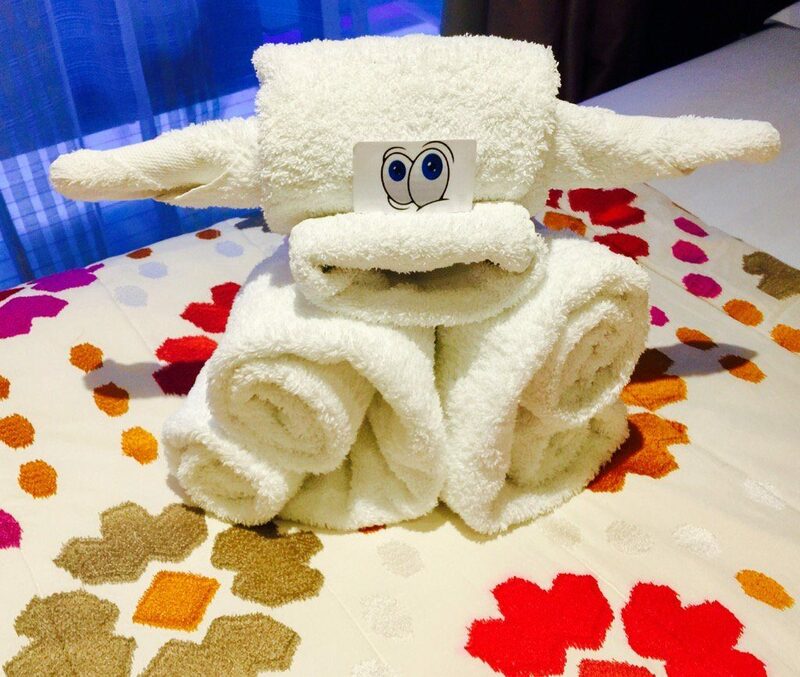 But what do you really need in a stateroom? We had a very comfy bed, a small seating area, an outdoor balcony just barely big enough to hold two chairs and a small table, and a big enough bathroom. The closet was large, but the drawer space was extremely limited. The big benefit of a Backroads trip onboard a river cruise is only having to unpack once. That meant we brought a little more than we would have for a Backroads land tour that would have required us to change hotels every few days. To me, it was a major packing fail—we brought things we never used or never wore. I won’t make that mistake again. Like a good cruise ship, there is always food available somewhere. Unlike the big cruise ships where I feel like I’m always walking past a buffet of something that is bad for me (soft serve ice cream, fresh baked cookies, etc. ), food on the AmaStella was not overwhelming. That could be at least partly because we were off the ship much of the day hiking. Lunch onboard included a buffet of salads and some main course—my favorite was the Pho, a Vietnamese soup that was spicy and delicious. For dinner, there is a choice of dining in the main dining room with the ever-pleasant and attentive waiters (some, like my photo-bombing dudes, also were really entertaining) or a special evening in the private dining room, the Chef’s Table. There, we were treated to a delicious multi-course tasting menu. This is just the way I would eat every meal if I could! A small portion of each dish delivered with flare. This is where I had the best lamb chop I have ever eaten. 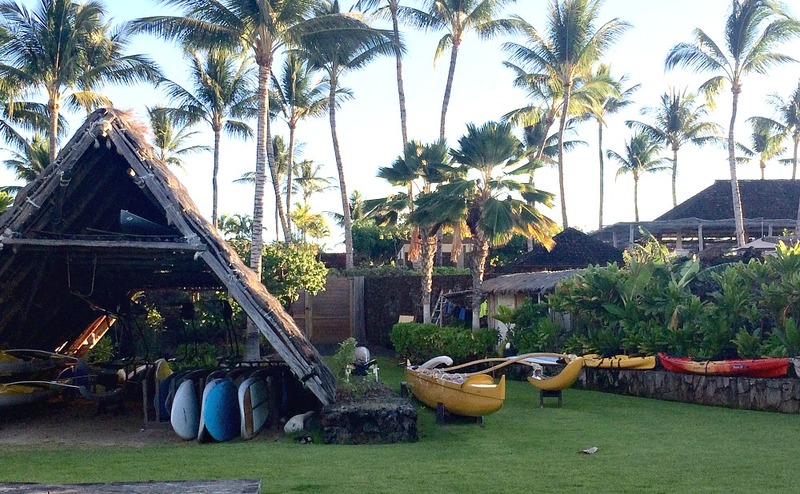 As an added plus, both lunch and dinner are accompanied by free-flowing beer and wine. Our itinerary took us to some of Central Europe’s storybook cities: Passau, Melk, Spitz, Salzburg, Czesky Krumlov, Vienna and Budapest. Each stop included a choice of tours at no extra fee. We joined two: a bus ride to Czesky Krumlov, and a fast-paced walking tour of Vienna. Both were informative, although we found the tour guide for Czesky Krumlov to be a bit humorless (although the destination is utterly charming). 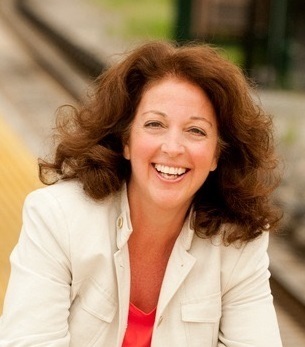 The Vienna guide was an American ex-pat who has lived in Vienna for more than 30 years. He was easy to understand and well-informed about the history, architecture and current events of the city. And he directed us to his mother-in-law’s favorite coffee shop, where we had a delicious cup of strong Viennese coffee. 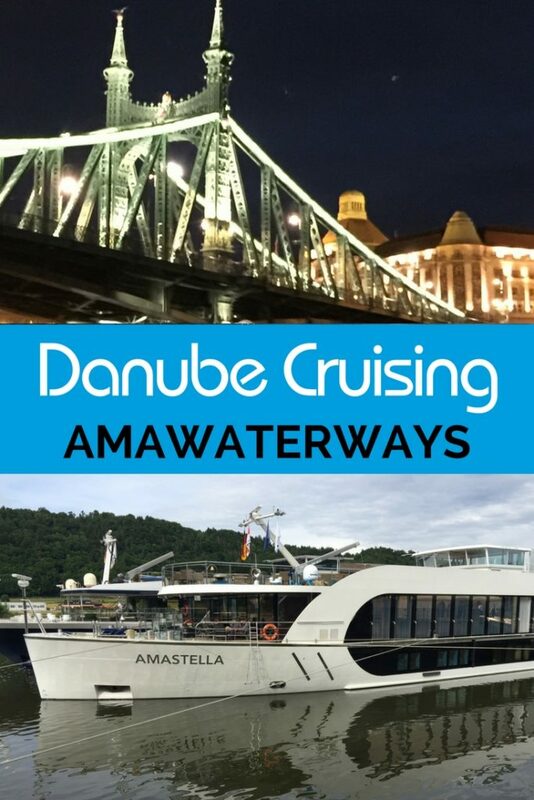 If you have long worried that cruising is not for you because you tend to get seasick, a Danube River cruise onboard an AmaWaterways ship might be the answer. We passengers regularly marveled at how little we felt the movement of the ship. Even in the busiest sections of the river, where you could see the water ripples in the wake of a passing barge or another tour boat zipping along, we rarely felt even the tiniest movement. The only time I was even aware the ship was moving was the night we left Bratislava to speed toward Budapest. But that seemed to have more to do with the hum of the engines than the ripples of the river. Most days we sailed overnight, arriving at a new city while we slept. If there was scenery to see, it was either too dark, we were sound asleep, or we were off the ship on another of our Backroads hikes. So the morning we pulled into Budapest was special. I headed up to the sundeck at 7am to drink tea with new friends as we headed into our final port. As the city grew closer, the charming cruise director offered a narrated architectural tour of the gorgeous city—Buda on one side and Pest on the other. A glorious palace here, the imposing Parliament building there. The famous Gellert Hungarian bath house. The coronation church, the Hungarian statue of liberty, the ornate bridges that link the two sides of the city. It was lovely to see it from the city during the day as we cruised in and breathtaking to see it lit up at night as we docked between two of the city’s imposing bridges. Is a Luxury European River Cruise Right for Kids? Hubby and I were traveling as empty nesters and I only saw a couple of kids onboard the AmaStella. They were part of a multi-generational family from the Dominican Republic who were having a great time celebrating some family birthdays. The ship itself doesn’t have a lot to keep kids entertained. There is a pool, but it’s tiny and seemed to serve mostly as a way to stay cool while getting a drink at the swim-up bar. Certainly nothing like the mega ships offer. However, the benefit of a river cruise is the daily port offerings. In many cases, it was just a short walk from the ship right into town. So it was easy to get off the ship and drink in the culture of central Europe. And the biggest cruise benefit–unpacking once and seeing many different sights–is even more valuable when you’re traveling with kids. Have you taken a luxury European river cruise? What did you love about it? Laughing very hard about the shower incident. Sounds like you had a fabulous, and well-deserved holiday! Yes—loved my Danube river cruise. I would take kids another time because ease of ports entry. Borrow ship’s bikes or walk. Build different expectations for the kids: LOCAL. My Danube River cruise filled another travel purpose well: breast cancer sister so deserving (in need) of emotional healing time.